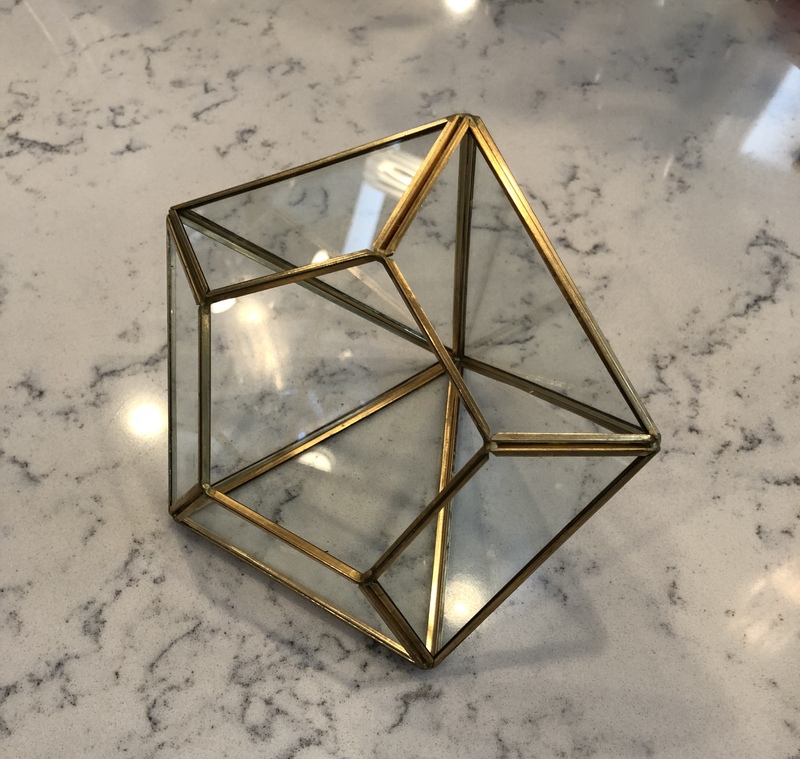 Geometric terrariums. Price is $5 each, I have a total of 9. I used these for centerpieces and lit candles in them with greenery intertwining around them on guest tables.